Lichty Guitars « Stitch Design Co.
We were first introduced to the beautiful work of Jay Lichty through Garden and Gun Magazine several years ago. The magazine awarded the talented luthier as the overall winner of the Made in the South Awards in 2010. It was a pleasure meeting Jay and his wife Corry then and we’ve been following his beautiful work ever since. 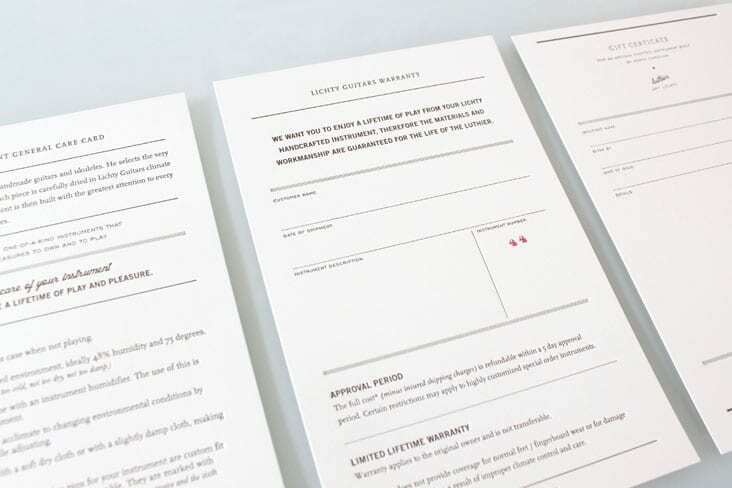 We were thrilled to get a call from them this summer to help them take the presentation of their brand to the next level. 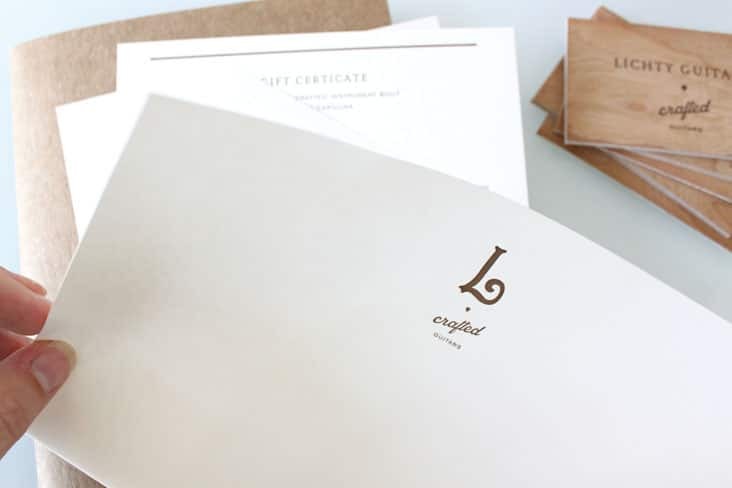 We simplified their existing logo and designed their stationery pieces to reflect the same level of detail and quality that go into each handcrafted piece that Jay creates. 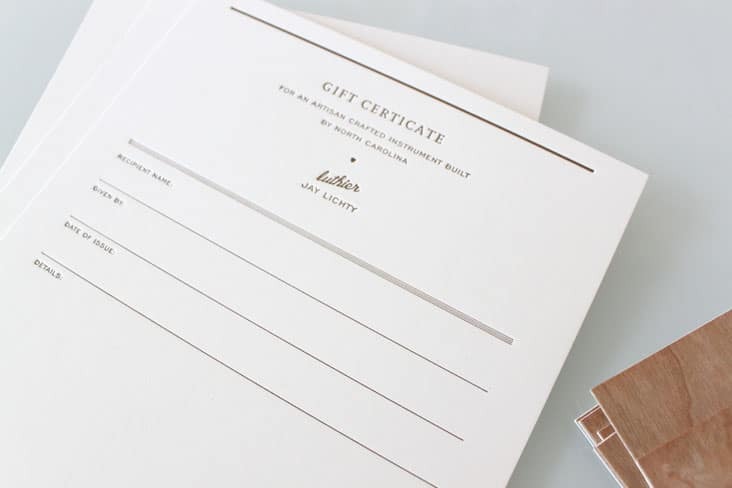 The suite includes care cards, wood veneer business cards, a letterpress certificate of authenticity (dated and signed), case stickers and more. 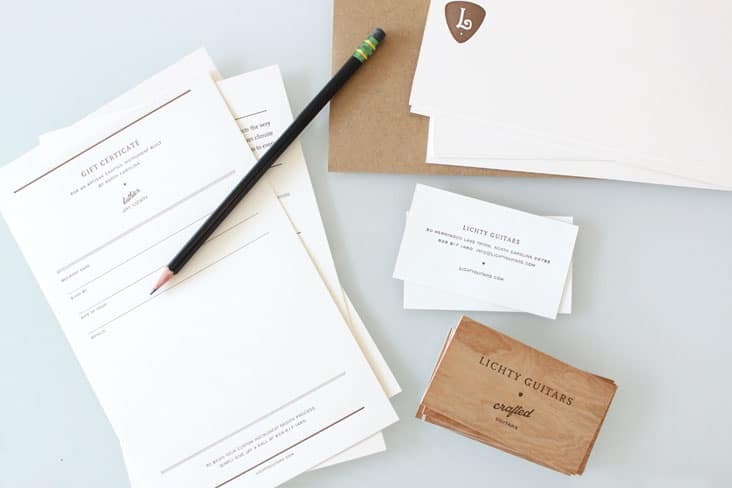 4 Comments > Tags: Identity Design, Litchy Guitars, Sideshow Press, Stitch Design Co.
brilliant work, and perfectly simple. Beautiful work! Can I ask, how did you print the business cards? Letterpress on veneer or is it engraving? The business cards are letterpress on wood veneer.